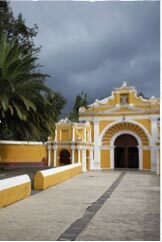 Digital photography of architecture, HDR large-format BetterLight digital photography of architecture, including modern architecture, architectural history, Spanish colonial architecture, and Mayan archaeology of Guatemala. The BetterLight digital camera is ideal for panoramas of architecture. 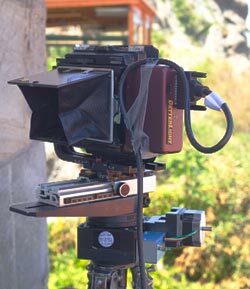 BetterLight Pano/WideView digital large-format camera. 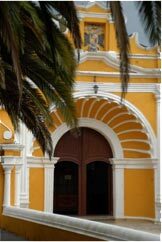 Several publishers have asked me to write books on digital photography of architecture. I have been photographing architecture even before studying architecture at Harvard. It helps when your grandfather, father, and two brothers are architects (for example, my father, George Hellmuth founded HOK Architects). So as I go out and test different digital camera systems for architectural photography, I have learned that one system is unique: it captures views that simply aren’t accessible by lesser systems. 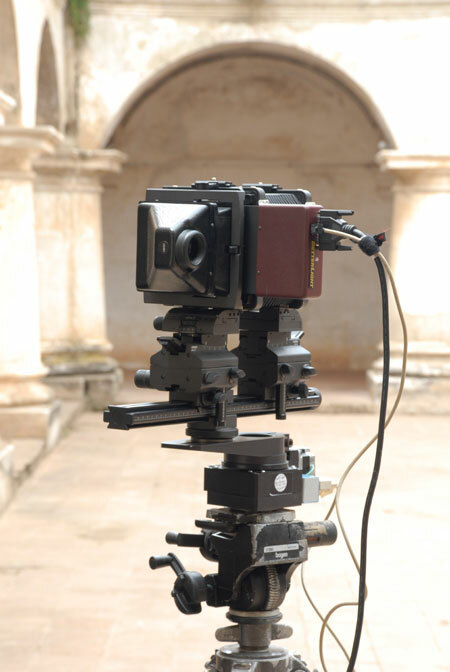 In over 40 years of photographing architecture, one of the more unique architectural cameras I have used is the BetterLight Pano/WideView. I have been evaluating this camera for over a decade now. The output is fabulous. If you wish to speak with the company that makes it, their e-mail is info@BetterLight.com. Last year FLAAR began to evaluate high dynamic range software. We started with medium format cameras since they are more portable (we go into remote areas and the expenses of having enough assistants to carry a large-format system are tough since we do not yet have a corporate sponsor for the field trip costs). But now that our staff has mastered HDR techniques on medium format, we are getting ready to experiment with HDR for large-format digital photography. 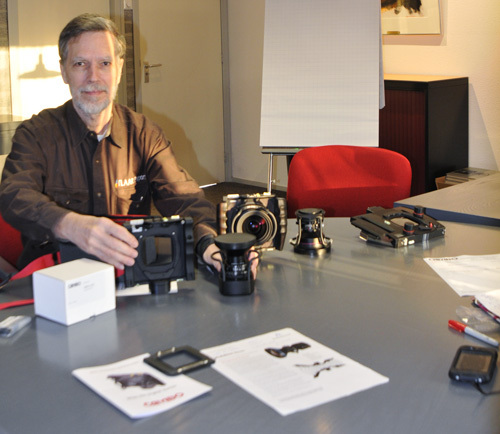 Nicholas Hellmuth at Cambo camera world headquarters to inspect how these cameras are manufactured. FLAAR has acquired a Cambo Wide RS. 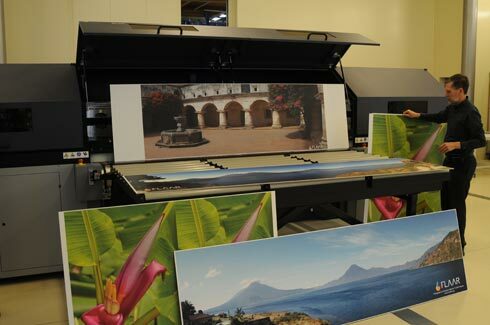 the Durst Rho 800 Presto, a combo style UV-curable ink flatbed printer. The higher the resolution the less depth of field, so it was refreshing to learn about stacked focus. I am hoping that this will overcome depth of field issues with extremely high resolutions that are possible with the tri-linear scanning back systems. This is a polite way of saying that stacked focus really helps with a large-format digital camera. Depth of field can be limited due to its high resolution. But first we need to obtain special permission from the managers of the buildings, since it takes 12-15 minutes to do a single panoramic scan of a building. This means that no occupant or visitor can walk through the scene for a quarter of an hour. And to do stacked focus this implies about three different shots! So about an hour by the time you do everything. Then there is the issue of sunlight changing during this hour. So you have to go back day after day until you get a clear day. At $1000 a day for a team, vehicle, security, etc, this gets costly. So the initial trips have been tests only. But we intend to persevere and accomplish a full set of both high dynamic range as well as stacked focus images. Focus stacked shots of Architectural Photography. 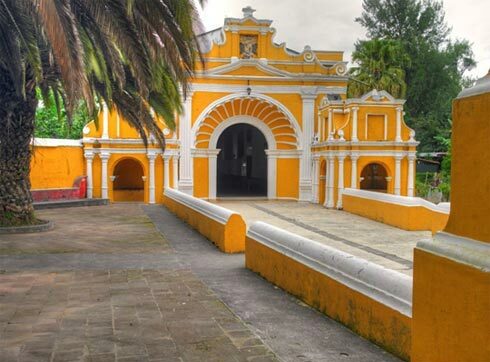 If you would like to join a FLAAR photography crew on location in Guatemala, we always welcome sponsors who can contribute to the photography field trip expenses. FLAAR is a non-profit institute, so donations are tax deductible. ReaderService@FLAAR.org will get you in touch with Nicholas Hellmuth. Our long range goal is to produce professional quality photographic coverage of Mayan archaeology, both ceramics (in rollouts with the BetterLight system) and architectural photography of pyramids, palaces, ballcourts, and temples. 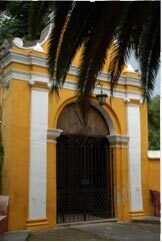 Since the 16th century Spanish colonial buildings are only an hour drive from our office, we tend to do initial photography here. The Maya pyramids are out in the tropical rain forest, and cost considerably more in time and money to reach. 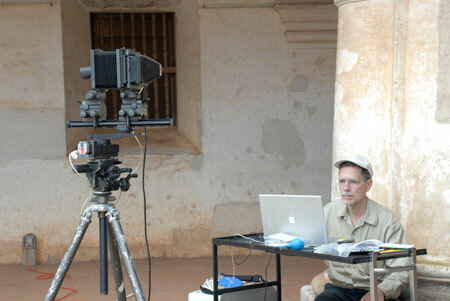 BetterLight set-up for architectural photography. First posted February 6, 2008.